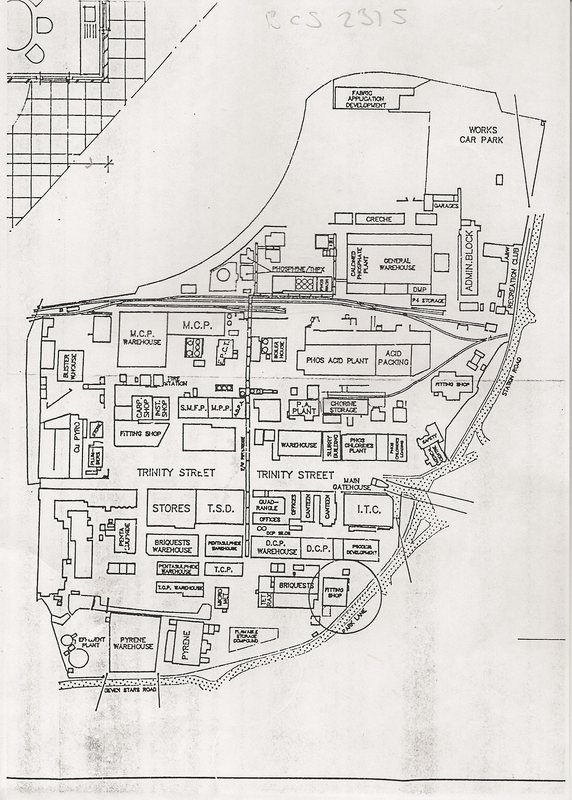 Waste from the Houghton “chemical arm” was historically deposited into Rattlechain lagoon upto 1974, including waste from ICI operations connected by the same arm as well as Albright and Wilson discharges. 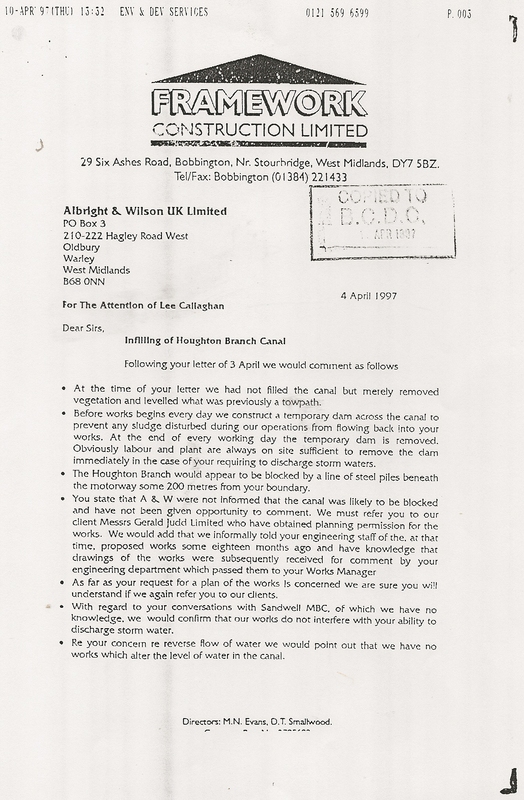 It has also been confirmed as we have revealed, that British Waterways also dredged canal sediments in local areas of the BCN network. 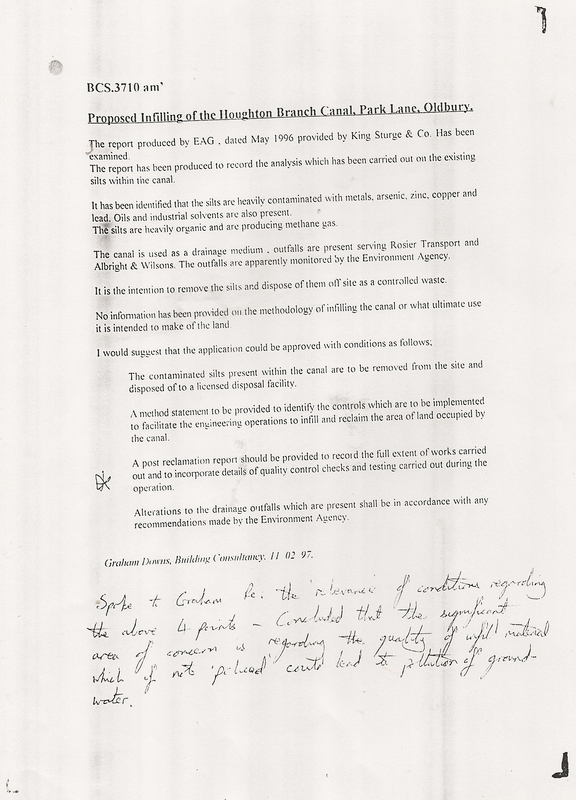 In 1997 the EA conducted an audit of the Albright and Wilson site as it then stood. 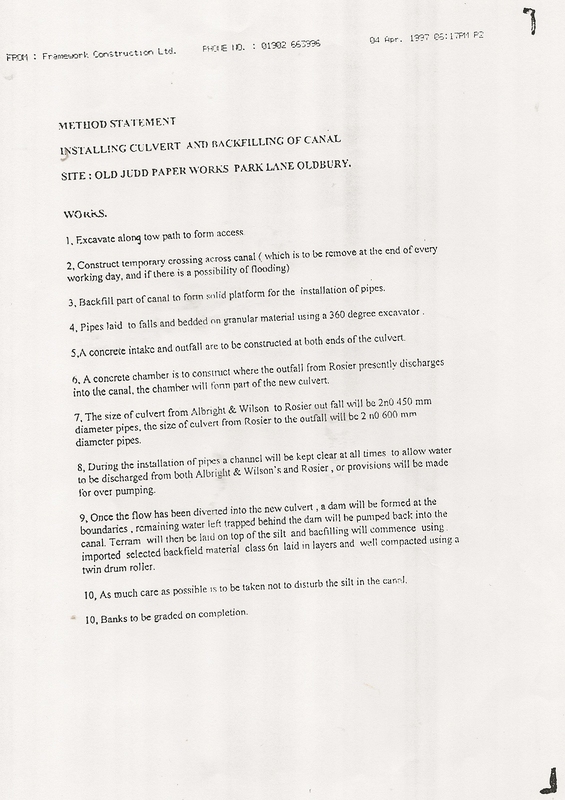 an assessment of the quantity of material to be handled and associated costs. 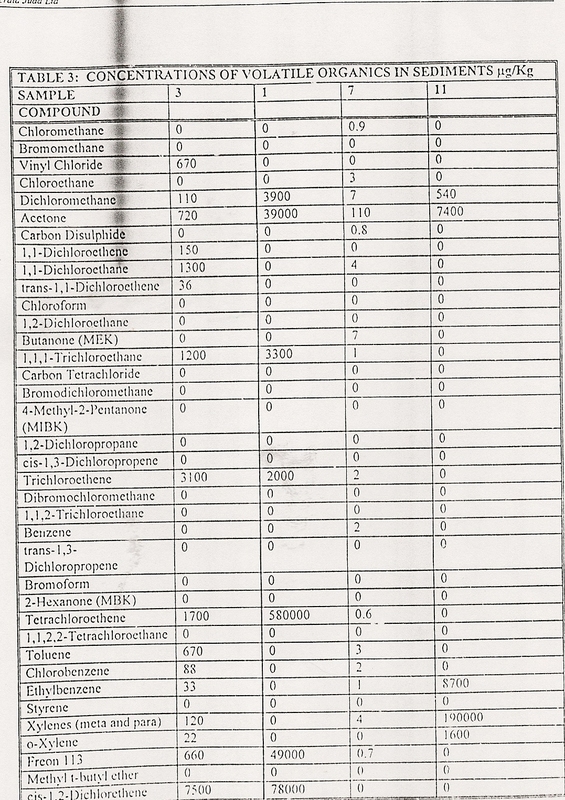 The 25 page report was backed with several annexes of analytical reports related to sediment testing- the main point of note that no analysis was carried out for elemental/ white phosphorus which is rather surprising given the known use of the arm. 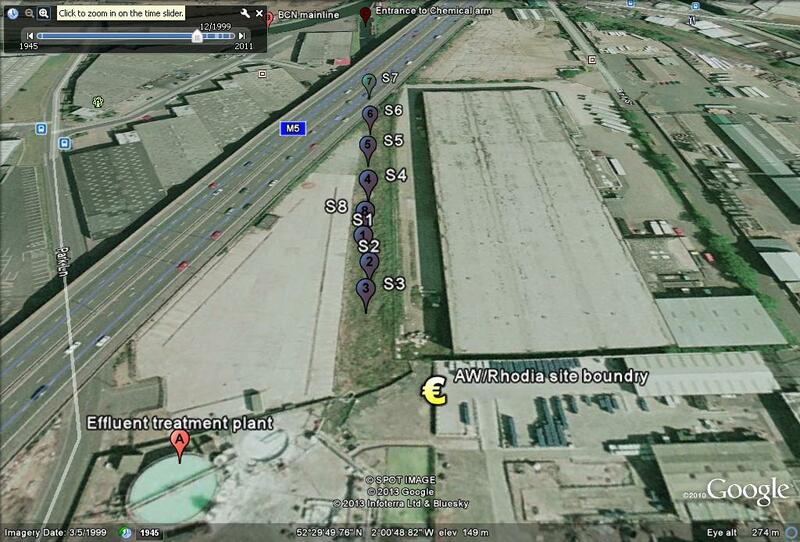 A key to these approximate testing points is shown in the map below. 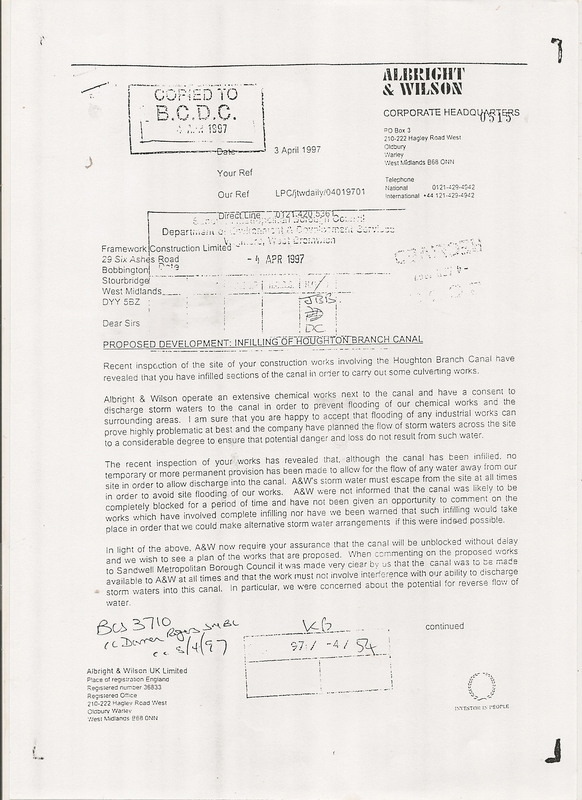 The problems with “analysis” of such substances always tends to be devalued by environmental consultants with the view that levels of subtances can be “acceptable” if they are below a certain level. 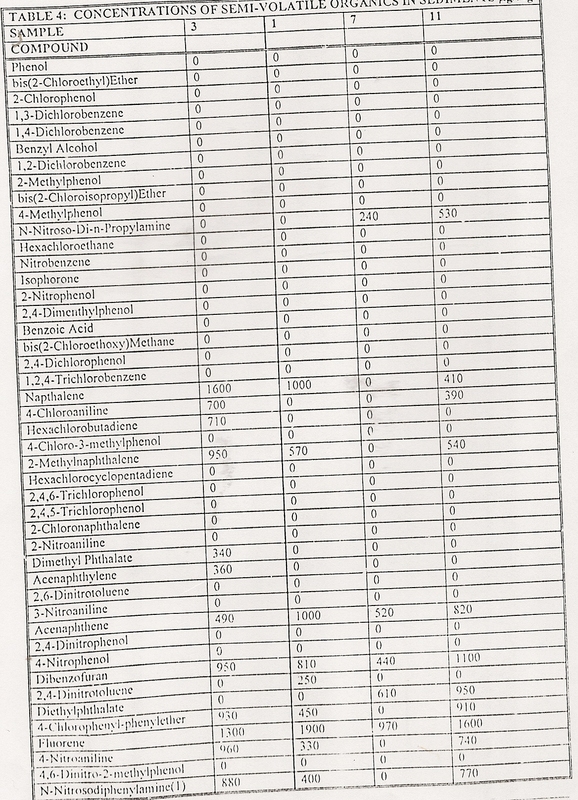 The problem arises over time when these set levels go down when it is resolved that levels that were thought to be “safe” are not as “safe” as they were first thought. 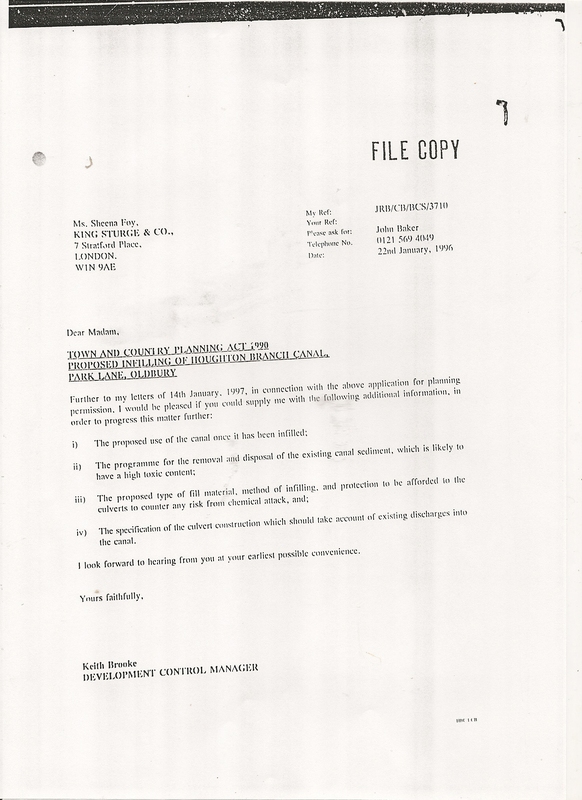 It is in the interest of the environmental consultant (like a lawyer) trying to pull the wool over people’s eyes for their client to realise development potential. However that said this study was more realistic about the substances found. 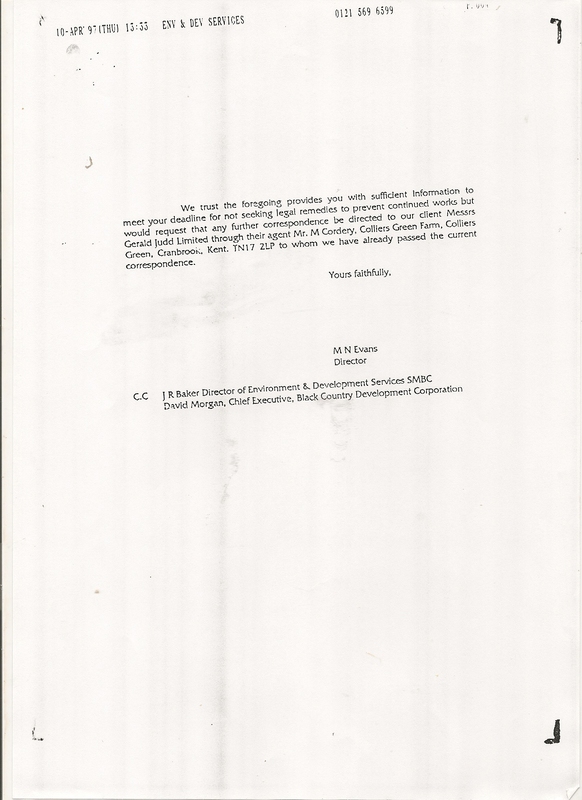 We have created links summarising some of the properties of the chemicals found in the sediment- which remember would have been dredged by Alfred Matty et al for transport to tip at rattlechain lagoon. 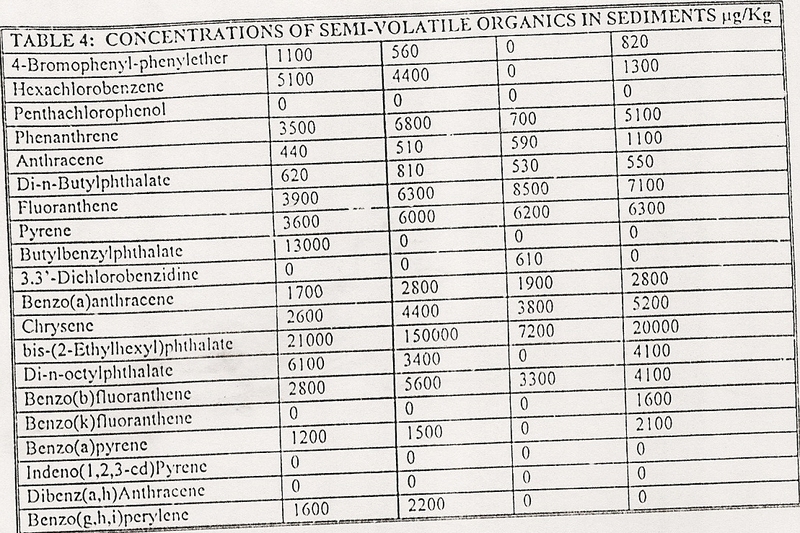 Analysis of Volatile organics in the sediments and semi-volatile organics in the sediments are also given in the following tables. 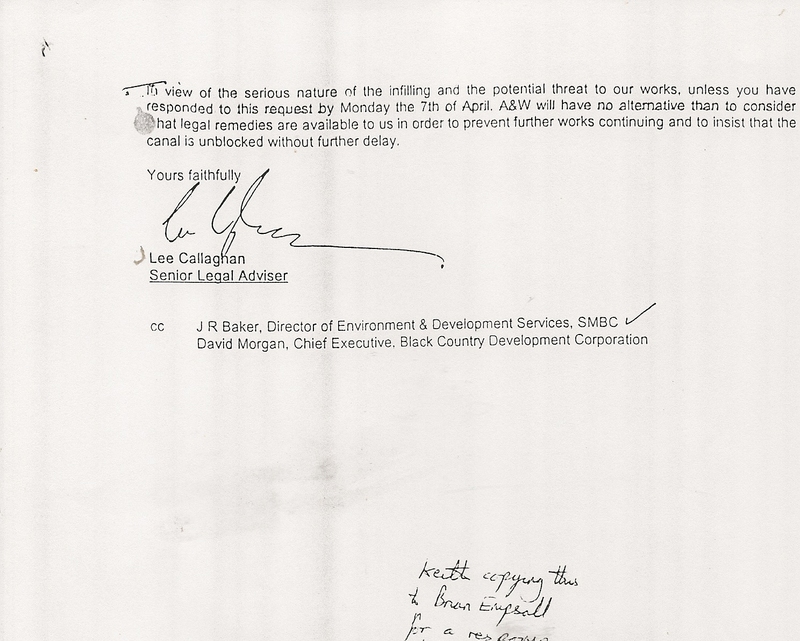 THIS IGNORES ANY FOCUS ON THE CHEMICAL FACTORIES DIRECTLY DISCHARGING INTO THE CANAL- ALBRIGHT AND WILSON HAD SPECIALIST LEAD BURNING CARRIED OUT ON SITE. 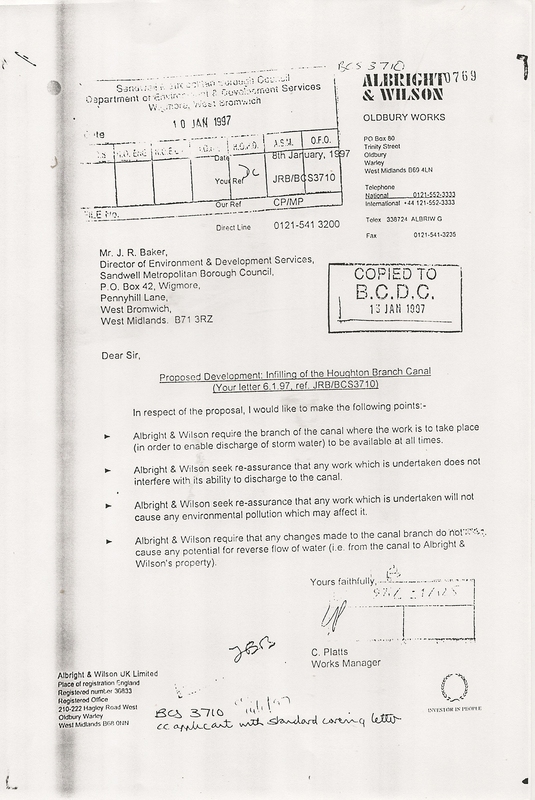 NOTE THE LOCATION OF THE FORMER PYRENE WAREHOUSE AT THE SITE- IT DOESN’T TAKE A GENIUS TO FIGURE OUT WHERE THIS CHEMICAL CONTAMINATION IN THE SEDIMENT ARISED FROM! 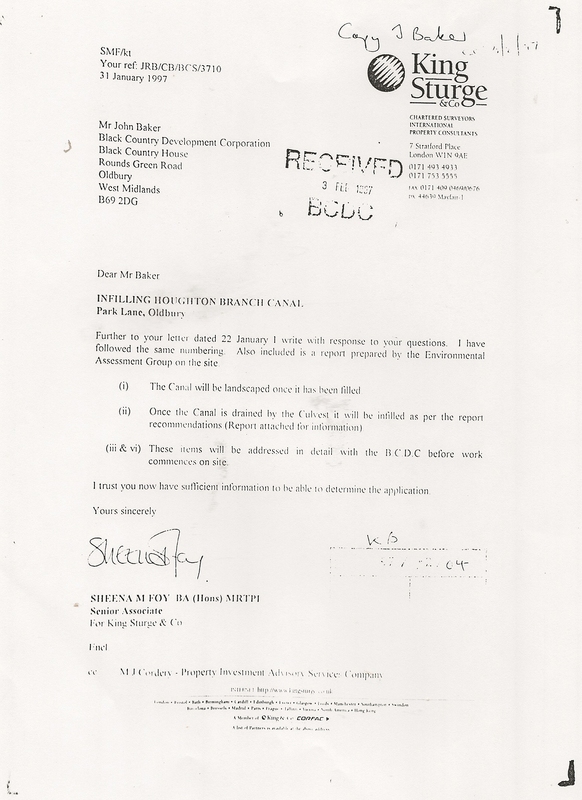 These problems associated with the contamination of the sediments in the chemical arm gave some conclusions towards dredging and disposal options on page 19 of the report. 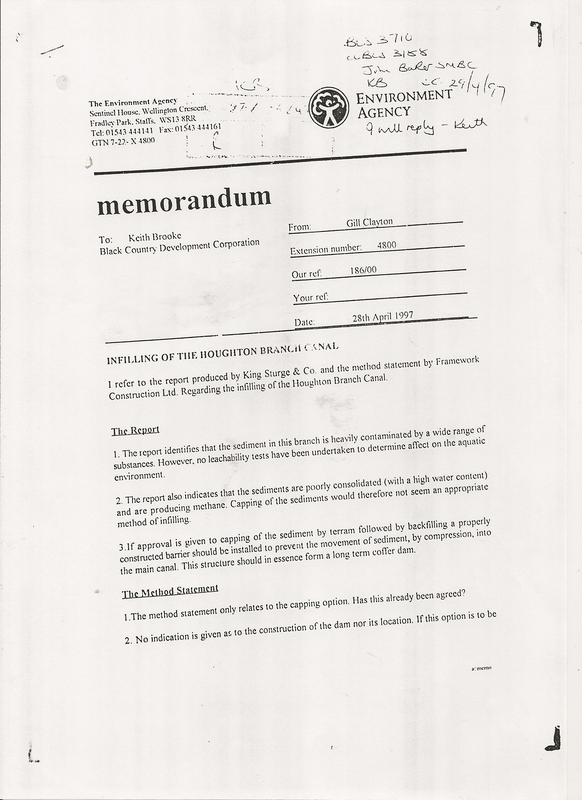 “The option of capping the sediments could be considered . 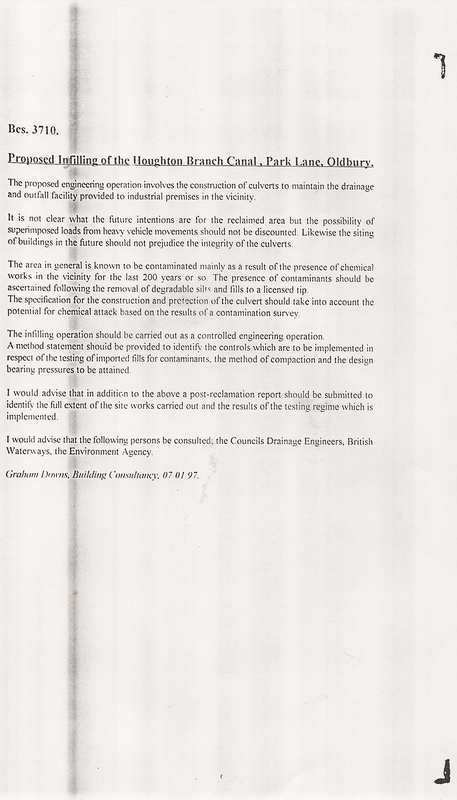 However, the methane gas generation rates and need to consolidate the sediments compromise the feasibility of this option.” It also considered canal dewatering and “dry dredging”- which would have been interesting given their lack of testing for P4! This was the option recommended by the consultant. 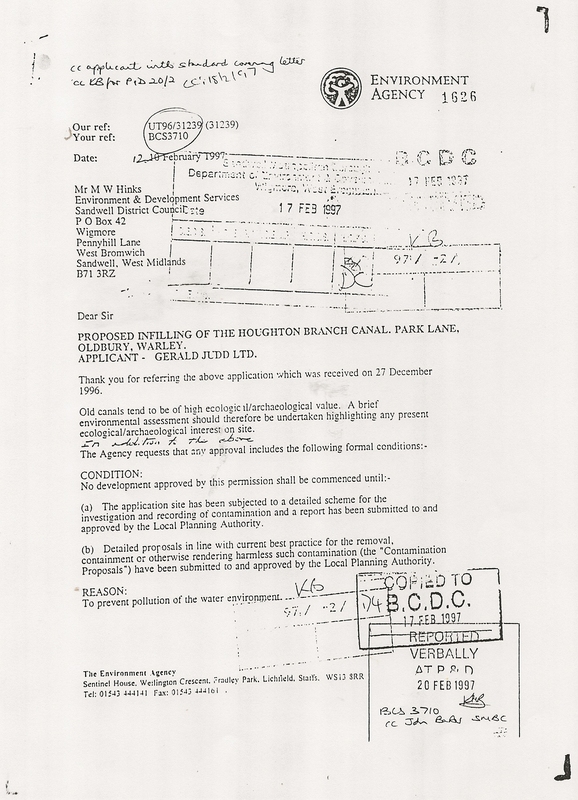 Planning application BCS 3170 generated some interesting correspondence between Sandwell council, the applicants, Albright and Wilson and The Environment Agency. 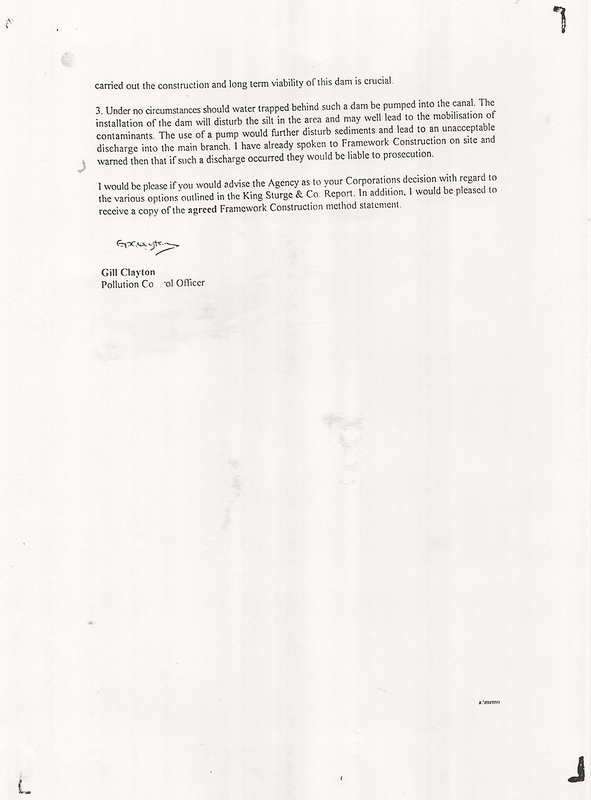 Below are some of these letters and comment sheets which tell the story. ALBRIGHT AND WILSON CONCERNED ABOUT “ENVIRONMENTAL POLLUTION” IS LIKE THE POT CALLING THE KETTLE BLACK! 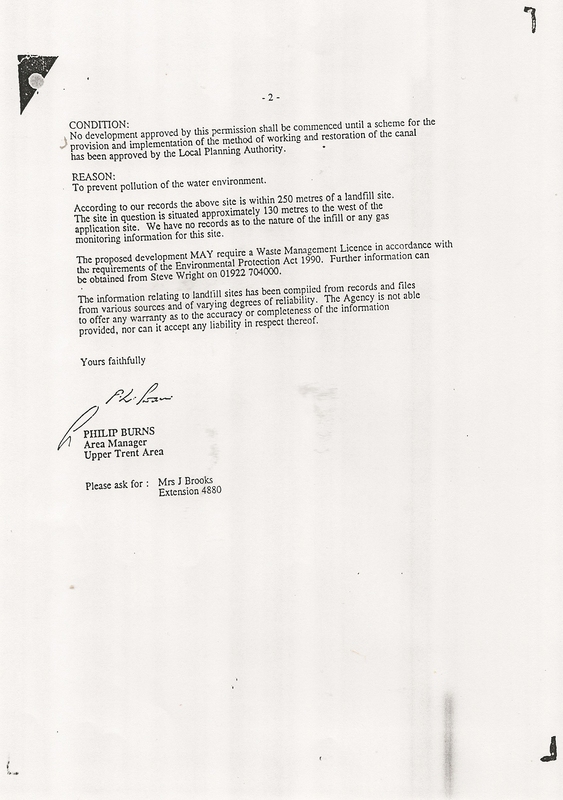 With this information in mind, we asked a Freedom of Information request to The Environment Agency concerning the direct links between The Houghton chemical arm and the extent of its proven contamination and Rattlechain lagoon. WE BELIEVE THAT THE CONTENTS OF THE SEDIMENT FOUND IN THE CHEMICAL ARM FROM THIS STUDY ARE MORE REFLECTIVE OF WHAT LIES BENEATH RATTLECHAIN LAGOON. 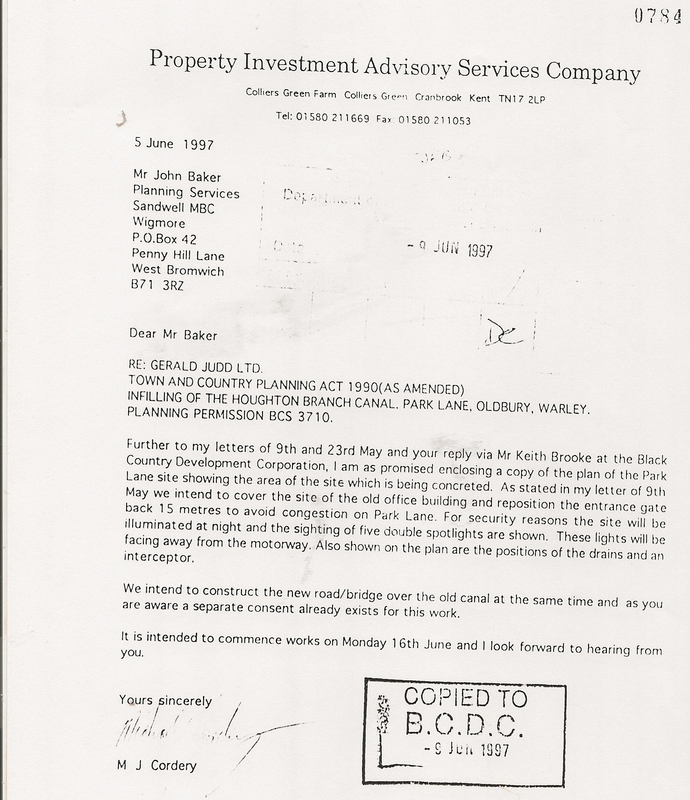 WE BELIEVE THIS BECAUSE THE EAG STUDY WAS NOT BOUGHT BY, INFLUENCED IN ANY WAY BY OR ALTERED BY THE MANAGEMENT OR DIRECTORS OF ALBRIGHT AND WILSON OR RHODIA UK LTD.